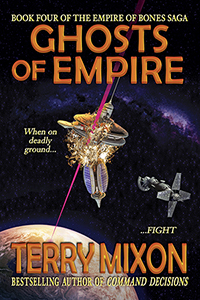 If you love military science fiction and grand adventure on a galaxy-spanning scale, grab “Ghosts of Empire” and the rest of The Empire of Bones Saga today! 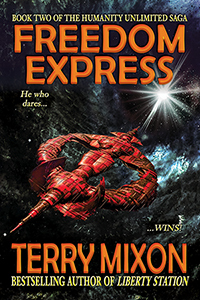 Harry Rogers uses his military training to rescue the innocent. His domineering and powerful father uses that to lure him to the jungles of Guatemala. Harry thought the mission only meant rescuing a beautiful scientist at a Mayan pyramid. Wrong. What they find puts them in a deadly race against his diabolical family. 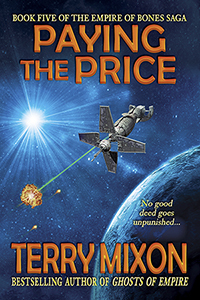 The first to solve the thousand-year-old mystery gets a ticket to the stars. 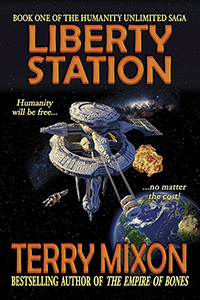 If you love adrenaline-pumping science fiction and grand adventure on a galaxy-spanning scale, grab “Liberty Station” and the rest of The Humanity Unlimited Saga today! Commander Jared Mertz thought the glories of the Old Terran Empire once more within his people’s grasp. One bold strike to make them his. But no plan survives contact with the enemy. With the odds stacked against him, the battle to save humanity starts now. 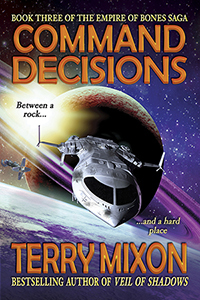 If you love military science fiction and grand adventure on a galaxy-spanning scale, grab “Command Decisions” and the rest of The Empire of Bones Saga today! Princess Kelsey Bandar made a terrible, life-altering mistake. Her enemies gave her unspeakable agony in return. She must forge the iron will to control the weapon her body has become. If she fails, the monsters who tortured her come for humanity. And horrors worse than she knows wait in the darkness. 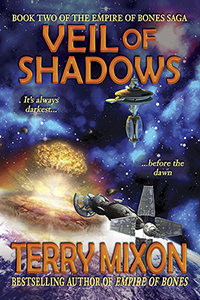 If you love military science fiction and grand adventure on a galaxy-spanning scale, grab “Veil of Shadows” and the rest of The Empire of Bones Saga today! 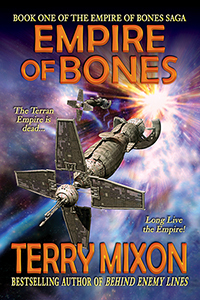 If you love military science fiction and grand adventure on a galaxy-spanning scale, grab “Empire of Bones” and the rest of The Empire of Bones Saga today!